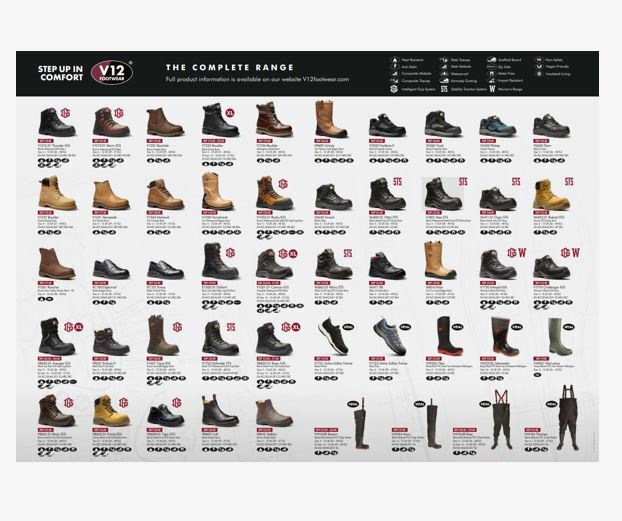 The V12 Footwear 2018 safety footwear wallchart has now been delivered. See the whole V12 range on an A2 sheet, folded to an A4 size for easy posting. 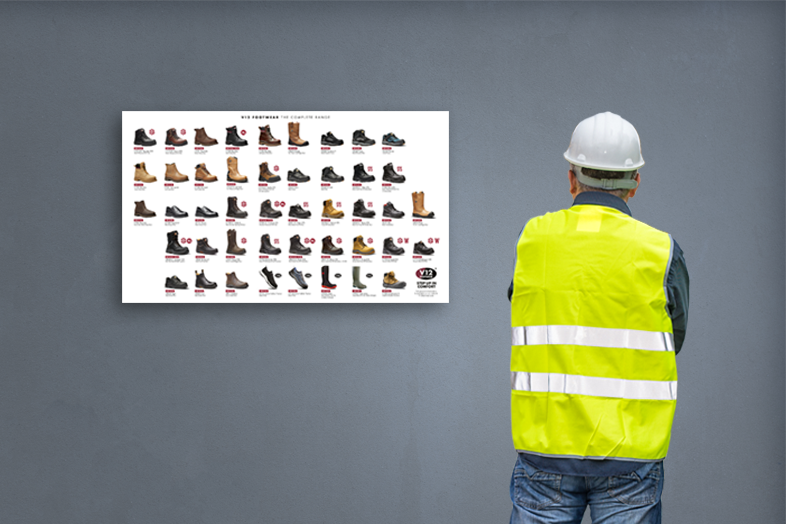 A handy reference for customer canteens, rest areas and warehouses to help staff choose the correct footwear. There are a number of improvements we have made to the wallchart which we have listed below. 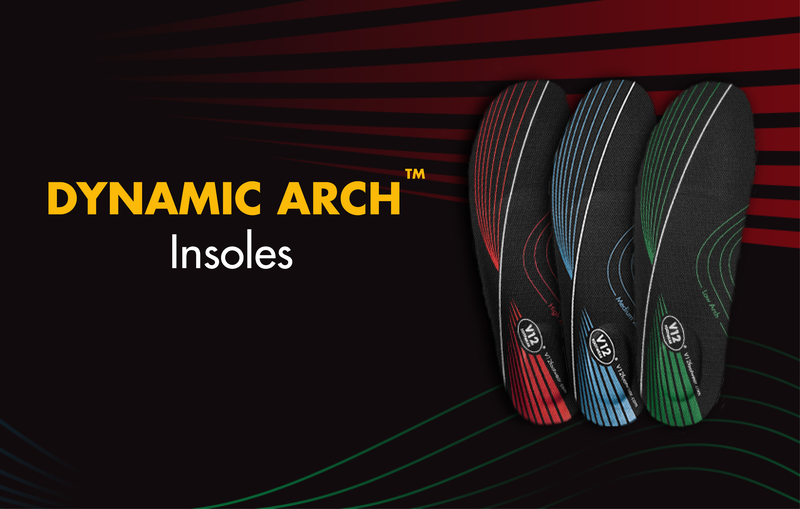 The new, improved Tiger IGS is now on the wallchart and more information on this product will follow shortly. 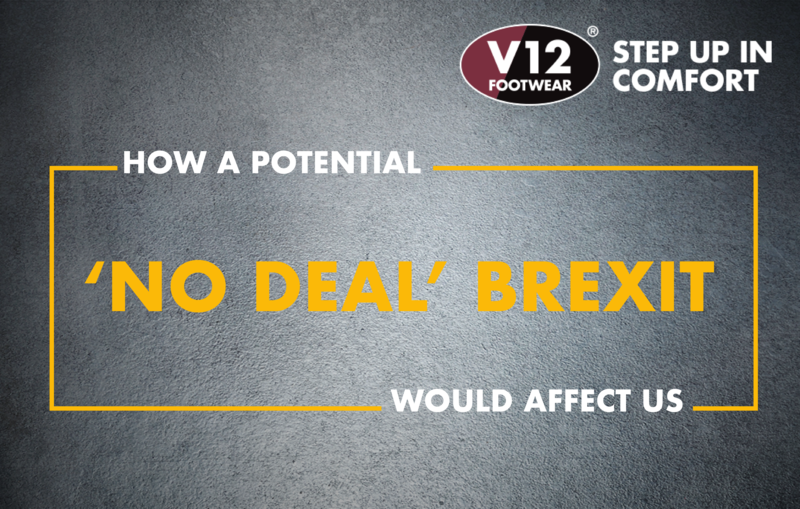 Current stock date is scheduled for July 2018 making this our first men's shoe launched on the 4 Star IGS sole. 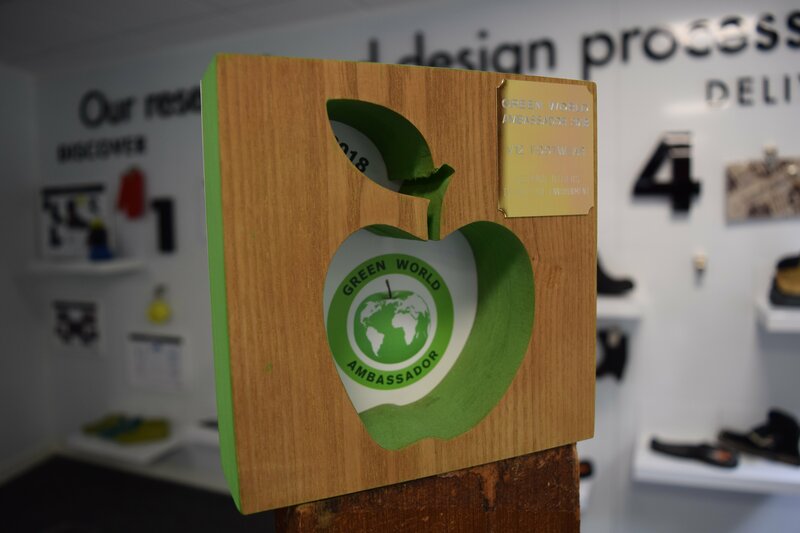 We are very excited to have been awarded the 'Green World Ambassador 2018' status.